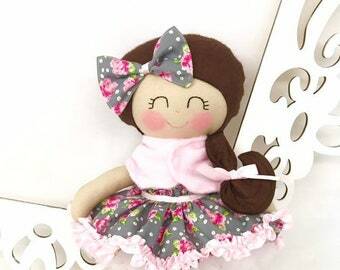 This is a 14 inch Cloth Baby Doll that is part of the Dressy Doll collection from Sew Many Pretties. 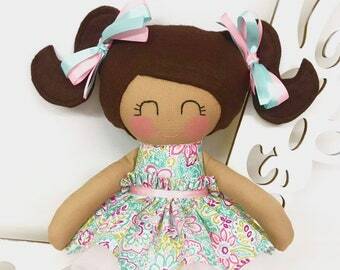 This plush doll is handmade from 100% cotton fabrics and wool blend felt for her hair. 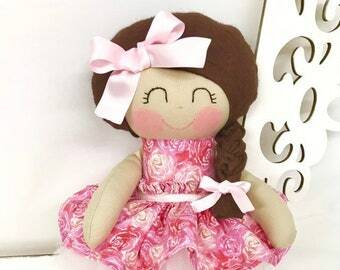 Facial features are hand embroidered. 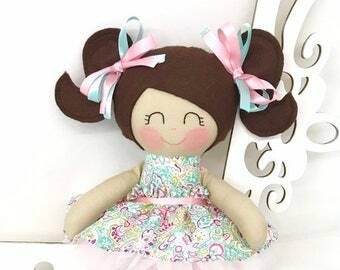 Her hair bows are sewn securely. This pretty girl has a fabric skirt with a Velcro closure in the back that makes it easy for a young child to dress her with. 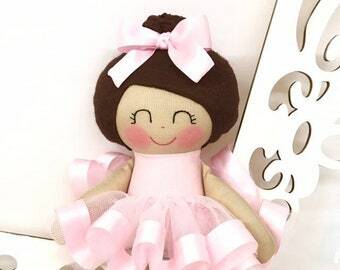 To dress your doll up even more you have the option of adding on a pink tulle underskirt that has an elastic waistband. 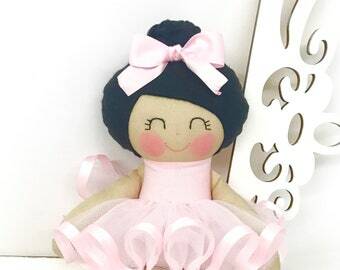 Let this special handmade doll inspire a child's imagination and creativity!! 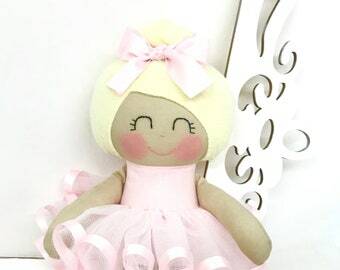 Please note that the available quantity of this dolls is 1 as this is a ready to ship doll. Please read shipping and policies before making a purchase. 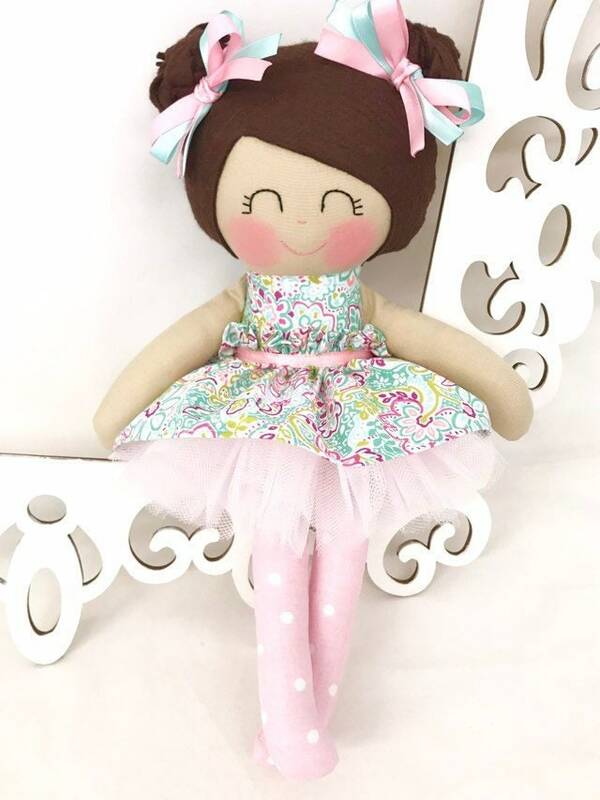 Follow Sew Many Pretties on Instagram and Facebook for the latest product releases.